This level have normal difficulty and you can easily get all orders by using simple strategy. 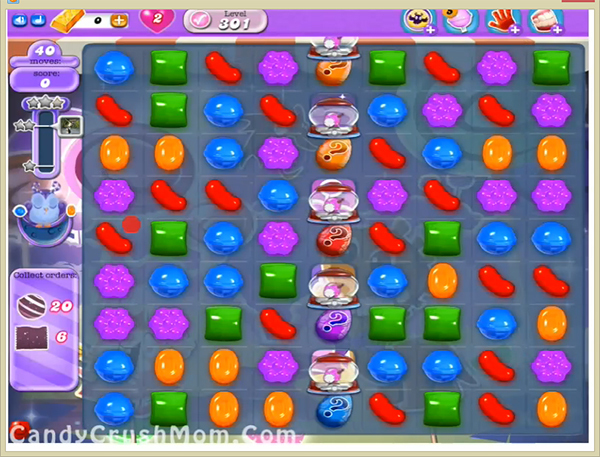 For this level first try to make wrapped candies to get wrapped candy order and make colorbomb with striped candy combo if you can balance the Odus owl or make this combo after moon struck to easily get all striped candy order. If you cant make colorbomb then try to make as many striped candy without forgetting about the Odus owl. We completed this level with 192760 score using above strategy and got three star score plus reach requirement before five moves.